OOTD - Old Navy White Jeans | La Petite Noob | A Toronto-Based Fashion and Lifestyle Blog. Spring weather to me automatically means white denim. I have seriously been loving my white jeans this season, as you can see by practically every outfit post featuring them! One of the questions that I often have asked is where my favourite white jeans are from, and my answer is simple: Old Navy. Thick enough to not be see-through, just the right amount of stretch and petite sizes - yep, I love me some Old Navy jeans! Paired with a light blue off-the-shoulder top and some platform sandals and all of a sudden my beloved jeans have a seventies vibe to them. I feel like I'm hoarding blush bags lately, but this sweet little faux-suede fringe cross body had to come home with me. 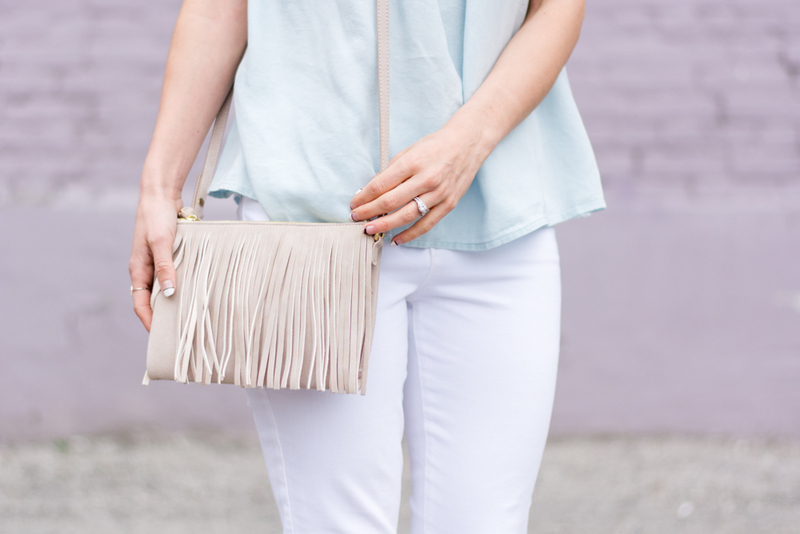 The fringe is so subtle and a great way to add interest to any outfit. Plus since it has two zippered openings, the bag can hold a lot. I'm so glad that I scooped up this baby for the upcoming summer season music festivals. 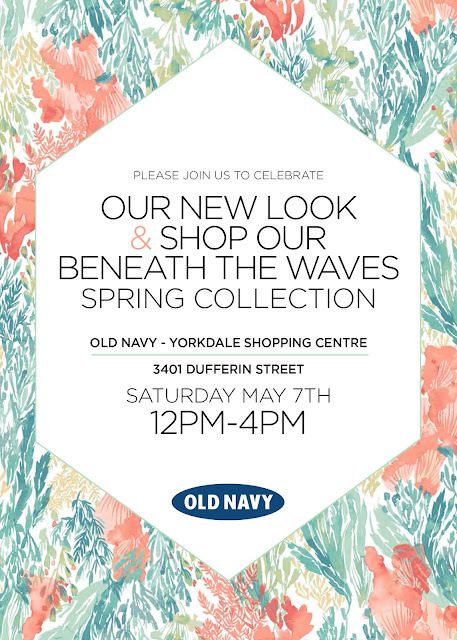 Now for a bit of exciting news - Old Navy just went through a massive renovation at Yorkdale Shopping Centre and the results are absolutely beautiful! Check it out for yourself on Saturday, May 7 from 12noon - 4pm, and shop their spring collection - including this outfit, and receive a gift with purchase! What do you guys think? Did you have a hard time finding the perfect pair of white jeans as well? What are your thoughts on the off-the-shoulder trend? Let me know! Of course you look stunning. This off-shoulder top was made for you! Awe thank you Siffat! I am definitely loving the off the shoulder trend this season! White denim. SO key! Love that you found your perfect fit. I may need to check out Old Navy! Looking fab as usual! LOL go big or go home haha! It's so versatile, isn't it? So glad that you like this outfit! You are so beautiful! Love the outfit on you!